The lack of competition in the banking market has been blamed after new figures showed mortgage rates here remain the highest in the eurozone. The Central Bank data shows that home buyers are paying multiples of what is being charged in other countries in the euro area. It comes after European Central Bank president Mario Draghi, speaking in Dublin, blamed a "quasi-monopoly" among banks here for the high rates. AIB and Bank of Ireland dominate the market. According to the Central Bank, the average interest rate issued on a new mortgage in September was 3.08pc. Although low for Ireland by historical standards, this compares to an average rate of just 1.76pc across the eurozone. "Ireland continued to have the highest average interest rate across the euro area on all new mortgages agreed in September, at 3.08pc. The rate varied considerably across countries, with the average for the euro area being 1.76pc," the Central Bank said. The high rates are combining with a scarcity of properties to buy to price new buyers out of the market, experts said. Calculations based on the Central Bank figures mean a typical new buyer is paying €157 more for their mortgage each month compared with the average in the eurozone. Daragh Cassidy, of Bonkers.ie, said that despite the recent rate reductions from some of the main banks, first-time buyers in Ireland continue to pay far more for their mortgage than buyers in any other country in the eurozone. 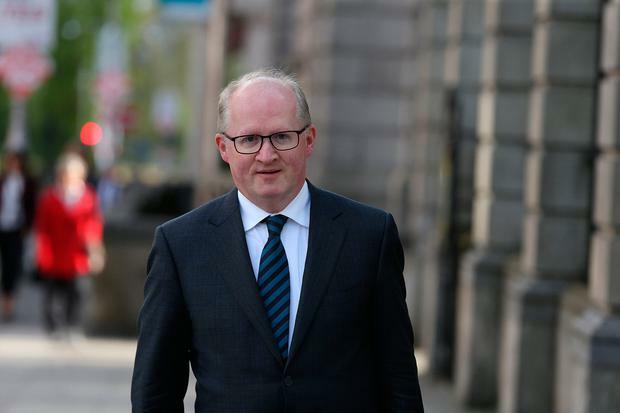 Central Bank of Ireland governor Philip Lane said a unified banking system across Europe would create an opportunity for more foreign banks to enter the Irish market. This would allow for a reduction in interest rates. He said there was little pressure on banks here to reduce interest rates due to the small number of lenders.